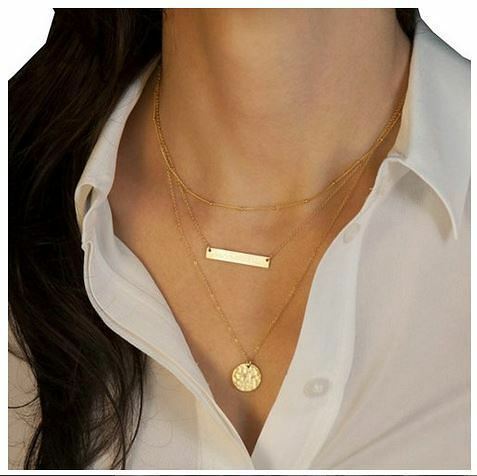 Triple Layer Gold-Tone Necklace Just $4.97 + FREE Shipping! You are here: Home / Great Deals / Amazon Deals / Triple Layer Gold-Tone Necklace Just $4.97 + FREE Shipping! Head over to Amazon and get this on-trend Triple Layer Gold-Tone Necklace for just $4.97 plus FREE shipping! I love that it has the bar as the middle layer and the round medallion at the lower layer.